In our previous blog post in this series, we briefly discussed the cash flow problems that construction contractors may face. (If you haven’t read that one, please click here.) Now, let’s dive deeper and analyze each of these problems. Identifying which one of these is present in your own construction business is key to appropriately addressing it and correcting it. Growth isn’t a bad thing, but if you’re burning 30% of your cash due to said growth, it can become a problem. It’s not hard to determine whether your construction business is growing — just look at your year-over-year increases in revenues and costs. If you’re experiencing growth, especially a substantial amount, it could also be the cause of some cash flow issues. For each of these items, you have to dig into the source to determine if there is a problem. To analyze billing, look at your job cost, work-in-progress (WIP) schedule, or job profitability report — whichever document shows your costs and revenue lined up. If you’re underbilled, you may have a billing problem that needs to be addressed. On the other hand, if your jobs are all billed, but you’re showing information in the 60-day or 90-day column in your accounts receivable aging, then you could have a collection problem. To identify if timing is a problem, start by looking at the series of cash flows on a job. Run a job detail report to see costs hitting you and the customer’s billings and collections. Are you paying your vendors in 30 days, but collecting from your customers in 60 days? That’s a timing problem! Discuss these issues with your accounting department or bookkeeper to see if any timing adjustments need to be made to your benefit. Look at your WIP schedule. How many jobs are still sitting at 96, 97, or 98 percent complete? If there are several, then you may need to critically review your punch list or close-out procedures to finish jobs more quickly and efficiently — thus preventing potential cash flow problems. Print your accounts receivable aging to help identify your retention. Some software programs will tell you; others will require a little more analysis to figure it out. Look at your percentage of retention as compared to your total accounts receivable. Everyone has a general rule of thumb they go by, but personally, we don’t like to see more than 30% retention. After that, it can really slow down cash flow. 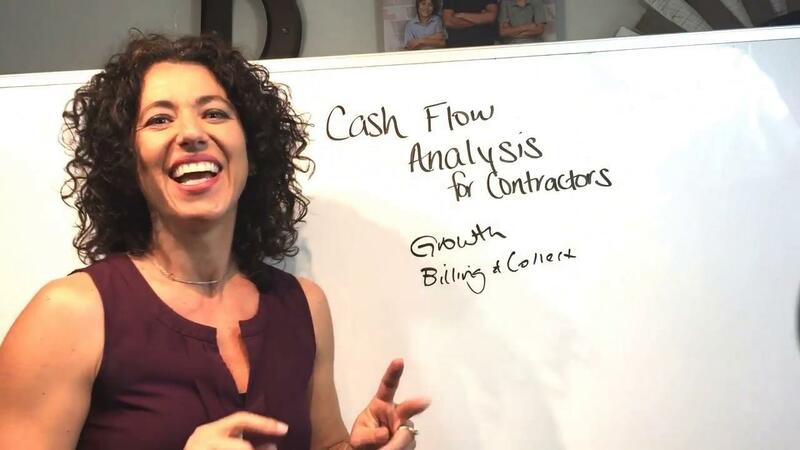 Once you’ve identified whether you’re facing any of these cash flow problems in your business, analyze which one you’re going to really focus on fixing. In our next blog of this series, we’ll share some of our top tips on improving cash flow for construction contractors. Click here to read the next blog.